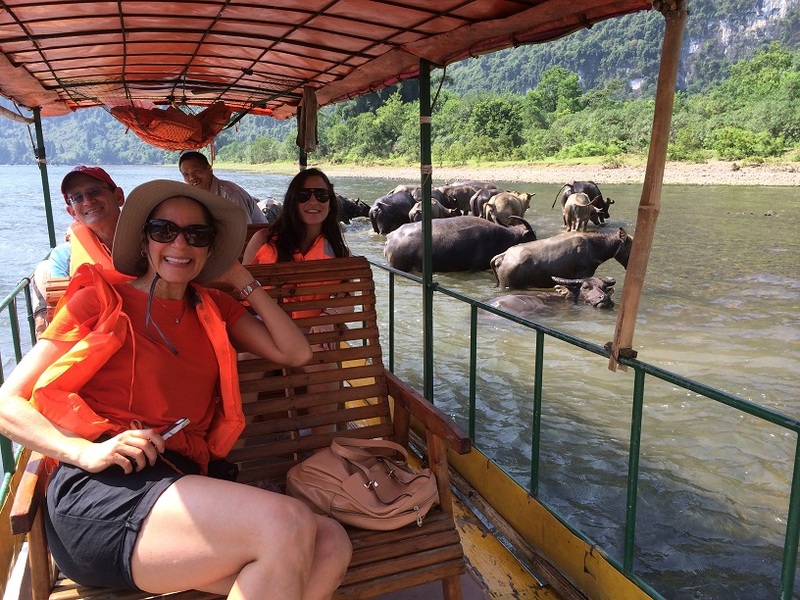 Cruise the Li River in comfort & Explore the countryside! 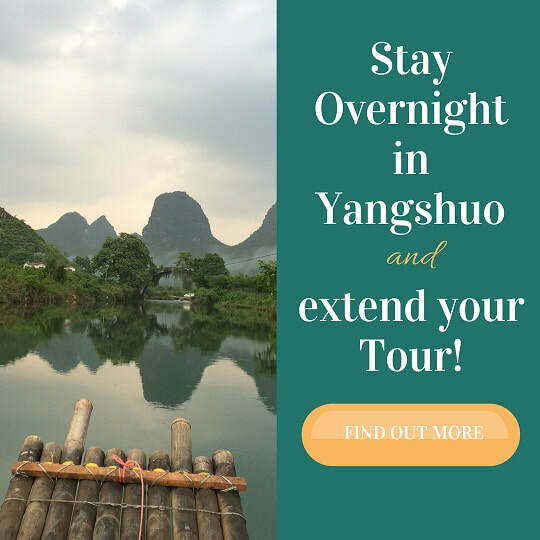 ​Join our team for this private guided day tour, which includes the Deluxe Daily (4 Star) Li River Cruise, visit to the Yangshuo countryside and an afternoon tea 'with views'! All times outlined below are approximate times only as the tour is a private tour, time is flexible and schedules such as trains/train availability varies. ​Meet your Wendy Wei Tours private tour guide at 7:40 am sharp in the morning at your Guilin hotel lobby. Please note, because the boat is a large boat shared with other visitors, it's important to be waiting in the lobby in the morning as the boat doesn't wait if visitors are late! 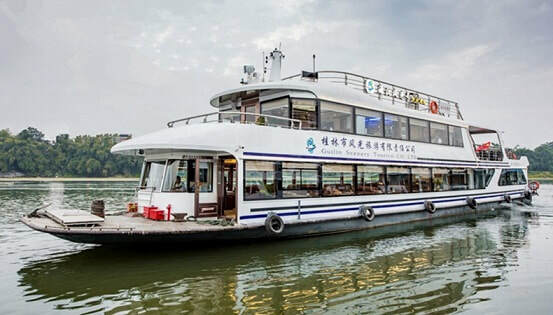 After clearing the security check and boarding the Li River Cruise, you'll be escorted to your Upper Deck reserved seats, which offer excellent views from the second level of the boat. Visitors can also choose to upgrade to VIP seating (which is at the very front of the upper deck seating) for an additional fee. Please note, if you'd like to upgrade, contact us as this needs to be arranged in advance. 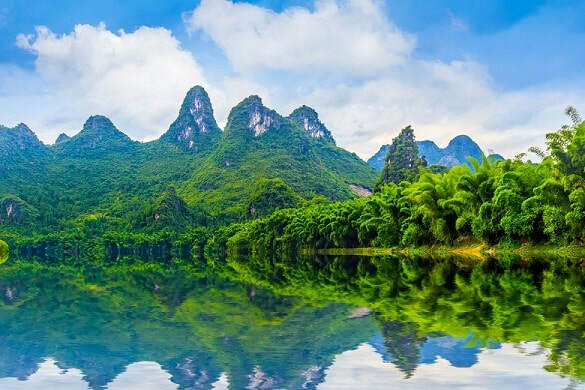 During the Li River Cruise, you will see incredible views of karst scenery, rural life and famous mountains throughout this scenic stretch of water. Generally, it takes approximately 3.5 x hours to travel from the Guilin Pier to Xingping Pier but depends upon season/water flow speed. 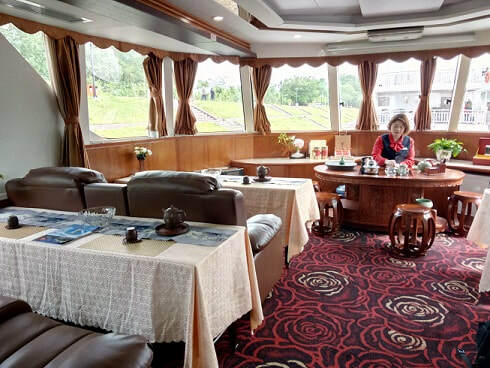 There is a buffet lunch served on-board during the Li River Cruise and this consists of approximately 8 different Chinese cuisine dishes including both vegetarian and non-vegetarian dishes. If you have any specific cuisine or food restrictions please contact us about specifics so we can arrange accordingly. Upon arriving into Xingping, you'll disembark at the pier and watch a Cormorant Fisherman Demonstration. You're also welcome to skip this if you'd prefer too and continue directly to the Yulong Valley area. With a quick stopover at the Yulong River bridge & explore the valley, you can see some more beautiful scenery before returning to Guilin. 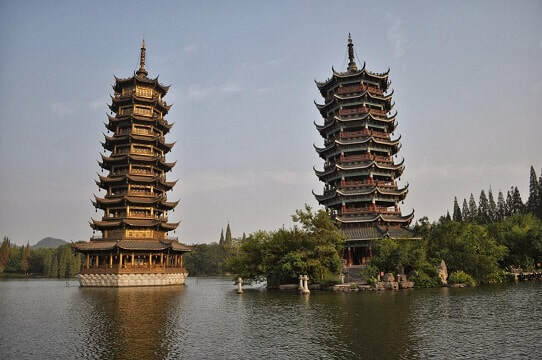 When you arrive into Guilin City, you'll be transferred to a cafe for a relaxing afternoon tea with views overlooking Guilin's city lakes, Sun and Moon Pagoda and Elephant Trunk Hill in the distance. At the conclusion of afternoon tea, you'll be transferred back to your hotel in Guilin to conclude the tour.